Now we are posting The Jerks’ performance of their classic song Nukleyar which they performed in the same March 20 concert at the 70s Bistro. 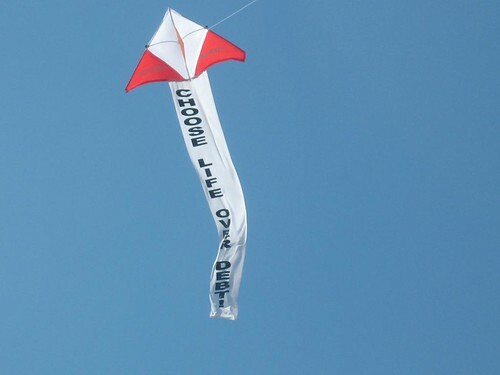 Yesterday afternoon, various faith-based groups, social movements and communities see their opposition to Bataan Nuclear Power Plant, as an act of “choosing life over debt”. 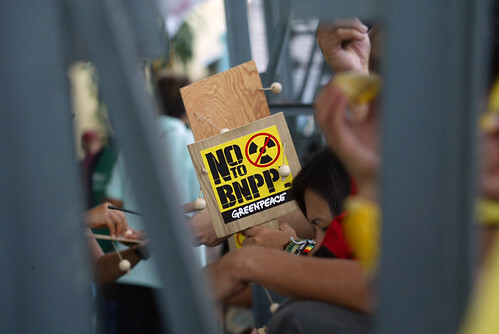 The church groups also said that the campaign against BNPP is now the shared responsibility of all people of faith and goodwill. 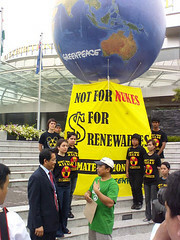 Greenpeace activists gathered outside the main gate of the ASEAN+3 Summit venue in Thailand. They were there to highlight that it’s time for the government leaders meeting at the summit turn the current financial crisis into an opportunity for addressing runaway climate change. They can ensure the economic stimulus package being proposed for the region goes into the development and deployment of clean renewable energy systems that can also create thousands of sustainable jobs in the region.